By controlling the precise cutting depth of the mill you can minimize over-cutting, create a smoother surface and reduce the need for additional material required in the re-paving process. All this can be done using Trimble’s PCS900 on your milling machine. A PCS900 system installed on your milling machine can help you achieve a smoother base by allowing you to mill at variable depth and slope, removing the existing undulations and creating a smoother surface to pave on. Using Trimble® Hot Swap technology, you are ensured a smooth transition between total stations eliminating the need to re-mill out bumps. The PCS900 can help you run your trucks more efficiently as the PCS900 helps eliminate the need for stringlines and stakes, so lane shutdown time can be lessened. And by milling only to the depth required, your machine will burn less fuel and experience less teeth wear. Plus, fewer trucks and the cost required to remove waste material will be needed as you will remove less material using a PCS900 paving control system. 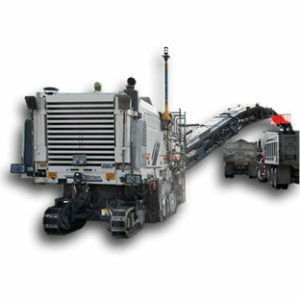 By milling to the minimum depth you will also save on asphalt costs as you will use less asphalt on the final surface. The PCS900 for Milling Machines mills at a fixed or variable depth, all depending on job specifications by using a 3D design model, the SPS930 Universal Total Station and on-machine sensors. The machine operator can see the 3D design on the display, seeing areas that are on, above or below ideal grade. The PCS900 compares actual drum position and slope with the digital design and then automatically guides the milling drum to cut at the ideal depth and slope, all without stringlines or manual adjustments.